For a focus on innovation and energy go to my new website michaellabelle.com. The focus is on global energy technology and innovation trends. Less politics and more rational thought. What the world needs these days. I’m no longer updating this website. A decade of blogging on energy developments in Central and Southeast Europe is ending for the energyscee.com. The records on my original platform, Blogger, go back to September 2007. And from what I was writing back then, the fight between private and state control of companies hasn’t abated. What has changed is the complete prioritization of politics over a semblance of private ownership. The region’s struggle with balancing private and pubic interests to deliver energy has shifted to a populist agenda that fails both citizens and the modernization of the region’s energy system. I’m proud that the blog reflects this change over time. Getting the best blogging material: Me eating fish soup at a restaurant in Paks after biking from Budapest to Paks along the Danube in 2015. In recent years, my blogging on the energy sector has become less and less. And I would add, more and more bitter. There are a number of factors behind blogging less. A greater concentration on academic output and a bewilderment as to what new can be said to politics trumping long-term economic good. Commenting on the region’s energy develops became too much about complaining about the short-term developments over long term success stories that are illusive. A year still doesn’t pass that another Russian or SEE/CEE pipeline idea is floated. Yet, the countryside struggles to get out of poverty and even gain assistance to proven energy technologies that can revitalize village life. Next week, Russian President Putin is making his second visit this year to Budapest. This speaks volumes to the reorientation of Viktor Orban’s Hungary towards the East. The politics in the Balkans (to resurrect the older term) also reflects the geopolitical struggles between Russian and Western influences. My previous research on privatization and introduction of competitive energy markets in countries like Bulgaria, Macedonia, Romania and Hungary continue to shape my research and understanding for solutions to break the region away from Russian energy and political dependence. But the region remains wedded to energy politics rather than grappling with finding transparent ways to finance a modern energy sector. I think more telling in my disengagement in blogging is also my changing academic role. Ten years ago, I had just gotten my PhD and was a researcher at the Regional Center for Energy Policy Research at Corvinus University. Now, I’m at Central European University and shifted into much more long-term thinking on energy systems and technologies. Blogging provided a fantastic outlet to process the research and my thoughts and to receive invaluable input from colleagues and distant readers. The blog did have an impact. Over the years I received feedback on who was reading the analysis, and who was discussing it. It humbled me and made me take a more professional approach to writing. Other outlets also picked up my posts. Natural Gas Europe was always a big supporter and publisher of my writings. It was these kinds of relationships and the feedback that enabled more ideas and insight to flow to further the work. In addition, many journal articles and teaching exercises started off as blog entries. Blogging has proved to be immensely important to my career. There is now a need for a fresh start. I think that is reflective of both my personal and professional life. Interestingly, the blog was also a reflection of a lot of personal struggle and growth over the years. Hidden between the lines are a lot of thoughts. This is pushing me to shift my blogging focus to be more holistic of my passions, interests and opinions. For energyscee.com, I’ll keep the domain and content available, but fresh material won’t be posted. Soon, michaellabelle.com will launch reflecting both my research and personal interests. In the new blog my focus will include the CEE region and provide a broader global focus on energy technologies and personal interests. Importantly, my bitching on the downward spiral of CEE will go away – partially. There are so many cool things that I love about the CEE region, mountain biking, swimming, small organizations and entrepreneurs making it happen at a micro-scale. There’s a vibrate innovative scene that lives below the corrupt politics and illiberal thought dominating our media and minds. I think it does us all well to focus here. One day, politics will shift towards a more socially and environmentally responsible orientation. Hopefully, the new platform can highlight some seeds in this shift. The European Union is on the verge of unprecedented action against Hungary. 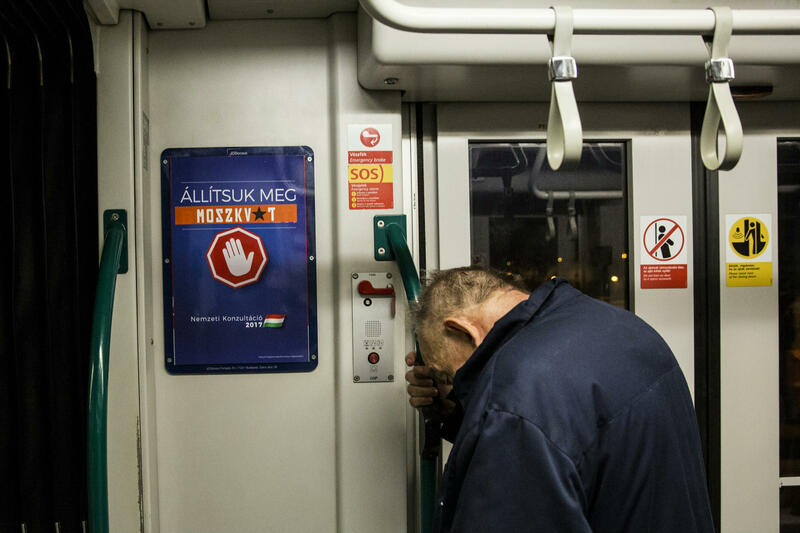 The violation of rule of law and democratic norms by the Hungarian government are many and flagrant. These are well documented in numerous reports published by international organizations (including the EU itself and the United Nations), Non-Governmental Organizations and even exposed through confrontational battles against other countries, such as Norway and the United States. Advanced negotiations are taking place within both the European Parliament and the European Commission for tangible political and economic actions against Hungary. This institutional response must be followed through. Demonstrations across Hungary and around the world demonstrate people are strongly opposed to the actions committed by Prime Minister Orban and his political party Fidesz. Hungary is a young democracy and while each country develops its own form of democracy fitting to its unique historical social and political landscape, there are inalienable Democractic standards. When these standards are crossed, as they have been in Hungary, it is the role of other countries, and international institutions to step-in and support the muted democratic voices of the people. There is a generation gap between our current political leaders and those just becoming politically active. The 1956 revolution in Hungary began with students. The current ‘Budapest uprising’ of 2017 contains an unseen level of vibrancy and energy because it is being led by students and young adults. On April 10th, Hungary’s President Ader signed the bill that would shut down Central European University. This political action inspired a spontaneous gathering of this group in front of the Presidential Palace. The jovial atmosphere was laced with intense political disgust for the ruling and corrupt Hungarian elite. Later in the night, the chats were carried through the streets of Budapest ‘waking up’ everyone and culminating in a historical and symbolic protest of raising the EU flag atop the Hungarian state-owned radio building. A flag that already flies across the EU on an infinite number of state buildings. I also joined the protest that evening. But I went home at 11:00 PM. I had to work the next day. It is then I realized the importance of the young in leading these political revolutions and the importance of institutions to support the public actions of the youth. Institutions are controlled by older generations that assume the events of their own lives are known by the younger generations. Who doesn’t remember the fall of the Berlin Wall and why this happened? Who remembers the role of Gorbachev and Reagan? Recently, I was shocked when I needed to explain who Gorbachev was to a class of university students. It is this generation gap and knowledge of authoritarian systems and democracy that the EU is now facing. Democracy is not assured. The past political and social struggles are no guarantees that democracy will live on. It is the responsibility of institutions, led by people who remember these past struggles, to protect and ensure respect for our common values, such as freedom of the press, academic freedom and even more central: the right to fair political representation. Each of these core values is already significantly eroded in Hungary. Inaction against Hungary’s violations of democratic norms betrays our common history and the future of not only Hungary’s youth, but the youth and future across Eastern Europe. The bold political decisions made in the 1980s to challenge and transform the Communist bloc must be protected. The political institutions that once represented democracy against the authoritarian Communist system must re-engage, protect and act to ensure democracy lives in Hungary. You see that SOS lever…that is for the EU and US to help Hungarian society kick Russia and Orban out. This will enable Hungarians to once again focus on societal issues rather than building hatred against foreigners, whether those from the Middle East or Western Europe. Here is a journal article I’ve written focused on the emerging academic area of energy justice. Energy justice stems from the environmental justice movement and has the potential to incorporate a wide variety of issues that are policy relevant in the energy sector. Energy poverty, including access to energy resources and political representation are the more common areas that have been examined to date by scholars. There is also the definition that the full costs of the energy system should be reflected in the end price. This would help expose those areas where there are subsidies. If you take just these two different perspectives, you can see that there are contradictory and also a wide area of justice questions that energy justice is engaged with. My approach (as is the approach on this blog) is to consider the interaction of companies, government regulations and policies and how these either benefit or hurt consumers. Thus I push for full cost accounting of our energy system – and even where financial losses are being hid (such as in Hungary and Bulgaria). My presumption is that if financial losses are hidden, then the energy system itself is not built on a sustainable and stable platform that can finance and transition towards a low carbon energy system. In addition, there is an inability by market players and governments to invest in the latest technologies which can provide lower cost energy services to consumers, rather than just creating perpetual debt in the energy system. This article (just submitted to a special issue of a journal – so it is under review), is more theoretical and even philosophical in understanding our energy system. I separate out different forms of energy justice. The first form is the ‘particular energy justice’ which is based in cultural and national norms. The second form is the ‘universal energy justice’ definition which argues everyone in the world has the right to access energy services and be able to afford them – otherwise they are denied other human rights, like a job and education. I then attach this discussion to the tumultuous experience in Bulgaria and the inability to make it financially sustainable. You can see this differentiation in the picture below. Energy Justice provides a framework to perceive disparities in our energy system. The foundation of energy justice draws heavily from the environmental justice movement, grounded in larger socio-political issues of representation, economic relations between the state, firms and social groups, including a universal and local application of justice. This article extends this differentiation by exploring universal and particular forms of energy justice. 1) Universal energy justice holds to socio-historical values stemming from judicial and philosophical groundings based in procedural justice issues, including recourse through administrative or judicial means. 2) Particular energy justice relies on cultural and environmental factors influencing choices around energy technologies and policy preferences for the distribution of energy services. Empirically, this article examines tensions within the energy system in the European Union. It does this first, by examining how universal energy justice is spread through National Regulatory Authorities (NRAs) in energy to satisfy ‘universal energy justice’ standards. Second, particular energy justice is exemplified in Bulgaria’s use of historical socio-political relations to usurp institutionalized universal energy justice. The aim of the article is to show the pursuit of energy justice attempts to resolve tensions between groups and differing politics to both access and provide energy services. What’s wrong with low energy prices? In this book chapter Atanas Georgiev and myself look at the mounting debts and political maneuvering in Bulgaria and Hungary. Countries where energy regulators were both sidestepped and politically maneuvered to ensure household consumers would pay low energy prices. The results? Unnecessary debts throughout the energy systems. Energy regulation underpins the European Union’s efforts to establish competitive energy markets in each Member State. Since the 1990s a system of regulatory governance was established, shifting the oversight of the energy sector from a government and politically centric system to one based on independent national regulatory authorities (NRAs). In some Member States the movement towards market pricing and regulatory governance is prompting political action to reassert and challenge the EU’s institutional architecture. This chapter will look at the underlining concept of energy regulation and how it is implemented in two Eastern European countries, Bulgaria and Hungary. Intense efforts are made in both countries to keep energy prices low in an attempt to address energy poverty. These actions call into question the ability of these countries to modernize and decarbonize their energy systems. Political efforts to maintain low prices create a system of contested governance, marked by political efforts to undermine regulatory tools balancing long-term investments with short-term pricing pressures. Here is my article I wrote for the Budapest Business Journal. The final version can be found in the BBJ . My description of the Iron Gates dam is from my bicycle trip down the Danube in the summer of 2015, when I also visited Paks NPP. The Iron Gates Dam, the largest on the Danube, sits between Romania and Serbia. Each side has its own generator hall with an identical black and white tiled mural hanging above the whirling turbines. The white tiles are slightly raised on one side, representing the waves of the Danube, complimented by an interplay of semi-circles representing the interdependency of Romania and (former) Yugoslavia. Completed in 1972, the dam’s output is equivalent to Hungary’s Paks Nuclear Power Plant. Both facilities are products of the Soviet and Socialist industrial policy of cooperation and coordination on energy infrastructure. The mural is important as a point of reference. This piece of art sits within a concrete structure that holds back the force of nature. It expresses social and political cooperation between two countries and the joint engineering expertise of both. Energy infrastructure is not simply highly engineered machinery, but reflects political forces working together for economic and social ends. In light of this dual purpose, costs associated with power production may be secondary to political and social goals. Nuclear power in Europe appears to be gaining a new lease on life due to this necessity of politics over economics. The trend in the European Union, since the 1990s, was to establish a competitive market in electricity and gas, where types of generation would compete to promote lower prices for consumers. Interestingly, as the anti-EU rhetoric builds, so does the rejection of the idea of a single market in electricity and gas. The governments of Hungary and the United Kingdom have now taken strong decisions to build more nuclear power, aligning more with political justifications rather than economic ones. The cost of new nuclear in both the UK and Hungary is between 75% and 100% more than current or projected power prices. Meanwhile, trends in energy technologies leads to a dropping of prices[BK1] . As both countries push to be politically and socially separated from the European project that brought Europe together after the Second World War, they seek external partnerships to reinforce their economic base. In the UK, the expansion of the Hinkley Point Nuclear Power Plant, was placed on hold with the entrance of Prime Minister Therasa May into Downing Street. However, this pause lasted less than two months, as the realities of sidelining Chinese financing of the French designed plant became apparent. With the UK soon to be negotiating an exit from the EU, both trading partners will be important as UK industry is pushed towards a new trade reality. The Hungarian government’s choice to extend Paks, even before the current reactors end their lifecycles, is also based on politics rather than economics. In 2014, Hungary signed an agreement with Russia to build two new reactors, more than doubling its current size. This agreement places an old trading relationship back in play. Nuclear power and the gas and electricity network in Eastern Europe was an explicit outcome of cooperation between the Soviet Union and COMECON countries in the former Eastern bloc. This relationship dates back to 1958 when the Soviets made it an explicit strategy to shift countries away from self-sufficiency in energy production to an integrated approach. Just as the Hungarian government disparages the economic and social policies of the EU, it too must ensure good relations with countries outside of the member bloc. Functionally, nuclear power tethers generations of engineers and citizen taxpayers to Russia’s energy industry. Consequently, geopolitics trumps lower priced energy technologies. The black and white mural sitting below the waterline between Romania and Serbia represents not just their interdependence, but the deliberate choice that once the facility is built, it cements decades of cooperation between the two countries. Nuclear power provides inter-generational cooperation and mutual dependency between states and societies; this needs to be recognized as the part of the cost of the technology. The choice of nuclear power in the twenty-first century is not based on lower cost electricity for society, but political and economic relationships. I usually don’t do posting for conferences. But I’ve gotten a lot from attending this conference in past years. So those interested in a broad range of topics (see the list below) I suggest you attend the Energy Transitions conference at the University of Eastern Finland in Joensuu. Notable (in my opinion) will be the energy justice sessions. UEF Law School, in cooperation with the UEF Centre for Climate Change, Energy and Environmental Law, (CCEEL) is pleased to announce the call for papers for its 2017 international and European energy law and policy conference “ENERGY TRANSITIONS”. The event will take place on 9 and 10 March 2017 in Joensuu, Finland. The above mentioned sessions serve only as examples, paper proposals on other related topics as well are welcomed. • indicate the name, institutional affiliation and contact details of the author(s). The deadline for submission of papers is 17 February 2017. Both expressions of interest and the papers should be sent to: energytransitions (a) uef.fi. After the event, there is a possibility to spend the weekend (11 and 12 March) at a ski and spa resort at Koli. More information available at www.koli.fi/en/. Transportation provided by the organizer. Spouses welcome. More information on the conference will be available at a later stage at www.uef.fi/cceel. The organizers would also like to invite lawyers, members of the industry, academics, regulators, etc. to join us and follow the event in Joensuu. Thanks to the kind support of Academy of Finland (Impact of shale gas in EU energy law and policy; regulatory and institutional perspective, UEF Law School and EL-TRAN Consortium Transition towards a Resource Efficient and Climate Neutral Energy System, University of Tampere) the attendance is free of charge. The Energy Union is taking on many forms. Most popular is the idea that market integration will drive forward more energy security within the European Union. There also remains an elusive attempt to connect EU efforts at market integration with the citizens of Member States to demonstrate prices are dropping because of the common market. The Energy Union is now being used as a tool to collect efforts in innovation and new energy technologies to hoist under the joint Energy Union banner. The release of the report, “Scaling up Innovation in the Energy Union to Meet New Climate, Competitiveness and Societal Goals,” does a good job of outlining this direction. The report is written by the consultants at Capgemini Consulting – and with a foreword by Pascal Lamy former Director of the World Trade Organization and Sir Philip Lowe, Former Director-General of the European Commission’s DG Energy and DG Competition. The focus in this report is on how to join up and ensure Europe innovates in the energy sector. The suggestions and insight are very good and it is worth a read. I’m going to reframe the study in the context of Central Eastern Europe. And this is called for because the study holds a strong bias towards Western Europe and high achieving countries in the area of energy innovation. The bias of the study exists in the selection of the participants in the organized workshops (Appendix I), in the quantification of innovation (page 19) and in the case studies (Sweden, Denmark, USA) all meant to exemplify innovation in the EU’s energy sector. But since the Energy Union is meant to encompass all EU Member States, then this approach fails to appreciate the diversity and challenges to transition towards a more sustainable energy system. In short, the study of innovation in the EU rests on prime examples from countries like Denmark, Germany and France. There is a failure to examine other Member States – particularly those in Eastern Europe, who not-so-coincidentally rank low on innovation scoreboards (below). Innovation is rooted in a countries institutional settings where private firms and public bodies (like education, energy and health care) interact to foster or prevent innovative technologies to be tried, revised and rolled-out. When ‘innovation’ is studied, it represents much deeper state relations and processes (one of the reasons I really like to study it). In the report, there are four megatrends identified that are transforming the energy sector: A) Sustainability; B) Digital; C) Local Empowerment; and D) Integrated Services. The elements of these can be seen in the diagram below. Each of these areas represents transformation in the energy sector and even the democratization of power production, centralized systems – with centralized control, will no longer exists. Households will be ‘prosumers’ driving a radical systemic change within our energy system because of their technological choices and demands for different types of services and ‘smart’ homes able to interact in with the electrical grid. The internet will no longer be used only by humans. I don’t argue that this won’t occur in the CEE region, but I question both the pace of it and the affordability of the transformation. There are two regional trends (as opposed to mega-trends) in the CEE region that fall under the first category of ‘sustainability’. The transformation to a clean energy ‘hegemony’. In the CEE region, there is a lack of support to encourage the roll-out of small scale solar, or rather the development of a class of prosumers. Both Poland and Hungary view inhibiting renewables as good policy. Hungary has a tax on solar cells and Poland’s energy minister – says solar systems destabilize the system. Poland will also launch a new scheme where the electricity generated by small scale solar are divided between the system operator (or the state) and the homeowner – rather than the owner receiving all the credit or electricity for the production (I’ll ignore the proposed re-licensing procedure for wind-farms, which includes jail terms). While these policies don’t stop the deployment of solar, they certainly don’t encourage it. But consumers in these countries are buying solar even without government support. In my experience speaking with people in different countries, there is growth in this area. Poland holds sufficient healthy numbers that future projections are hard to compute because of the growth of solar. And in Hungary, business is unexpectedly high for sellers of solar systems. The ‘C’ category of local empowerment is also important to consider. Both Hungary and Poland, perceive large scale deployment of renewables as disruptive for the political plans to renew their centralized systems. Hungary plans to expand Paks – and to such a scale that exporting electricity will be necessary, as production will exceed domestic demand for at least 10 years, while Paks I operates along side Paks II – with a near capacity of 4,000 MW. Renewables will further erode the cost assumptions of the Russian nuclear reactors. Poland, plans a wholesale renewal of its coal fired power plants. The efficiency of coal can be increased, according to the energy minister, by preventing renewables and their variable output, from entering the system. I’ll refrain from commenting on the state of democracy in Hungary – but decentralization is not an option for any topic – there is a only a trend towards centralization in the Prime Minister’s Office for everything. According to this hiker Hungary’s ruling party, Fidesz, does like to make money from cutting down trees. I took this picture in a very remote location in the Vertes hills. Only accessible by foot or on mountain bike. Unfortunately, a visit to this region, only indicates the low priority that environmental protection – or environmental sustainability – has in Hungary. Money appears to come before environmental protection – this is true in the case of bidding for gas and oil concessions in Hungary – where 140 points are awarded for financial royalties to the state, out of a total of 300. Previously, environmental protection held the most points. The final two areas that change is most apparent is in the area of (B) Digitalization and (D) Integrated services. When it comes to dominant utilities, both Poland’s and Hungary’s state owned utilities can play a large role in maintaining their dominance and allowing certain technologies that can enhance synergies between utilities, like gas and electricity. In these companies like Hungary’s and Poland’s electricity distribution companies, management in firms like ENKSZ, E.ON, RWE, have a strong awareness for the potential in smart metering technologies and a smarter grid. While the executives of these companies are fully aware the financial investment into these new technologies must be recouped from rate payers – that is permission from the energy regulators must be given. And from this stand point, we enter the political efforts to keep costs low. So while the technology can change, there has to be a political allowance to invest in new technologies to continue to reduce the cost of energy services. Permission at this stage is marginal. The authors of the study are not wrong to look to Western Europe for examples of innovation. The problem comes when innovation for the Energy Union is defined along these developed systemic lines in only a handful of countries. Innovation in the energy sector is diverse and reliant on the individual selection and social and political arrangements within each country. This doesn’t mean that Poland rejects the prosumers, it is apparent the technology and those consumers wealthy enough are opting for solar systems. But more study needs to be done on how countries ranked low on these innovation indices can participate in the vision established by the Energy Union. How can the centralized and government controlled systems of Bulgaria, Hungary or Poland become more innovative? That is the question that still needs answering. In the history of this blog, under the Orban government, I have never been able to take seriously the official relationship between Hungary and Russia . This is despite both countries having significant areas for economic relationships, particularly in energy and other areas. The reason for my jilted attitude stems from the passing off of the relationship of one of equals that engage in mutually beneficial energy projects. When Hungary discusses energy with Russia it only means greater dependence on a country that plays politics with energy resources. So when it comes to official visits between the two countries, instead of just discussing Hungarian exports of salami and apples to Russia, we engage in this charade of energy equals. Today Russia’s Foreign Minister, Sergey Lavrov is in Budapest to meet with his counterpart and with Prime Minister Viktor Orban. The expansion of Paks Nuclear Power Plant is on the agenda and how Budapest is spinning its ‘non-state’ aid and ‘transparency’ argument with the European Commission. There already is a very good study on the non-viability of Paks II, so my comments will focus more on the increasing disparity between government projections of the price of nuclear power and the decreasing cost of alternative energy technologies. In the world of renewable technology, particularly in the area of solar and wind power, the set rate of the feed-in tariff is now out of fashion. Instead an auction based system is now in place. This provides the chance for project developers to line up their financing and bid on how much their project will cost in comparison to other projects along the same parameters. This gives us a good idea of what the cost is for particular projects and their associated technologies. And the latest projects (albeit in sunny locations) drives the price of Paks II into the ground. Particularly when the life span of Paks 2, from 2026 to 2085 is taken into consideration. The cost of solar power fell 50% in the past 16 months. It is now at USD 3 cents per kWh in sunny Dubai for 800 MW of solar power, and with favorable financing from Abu Dhabi. In comparison, Paks II will have the capacity of 2400 MW at a cost of USD 9 – 12 cents per kilowatt hour (kWh) for the first 21 year period – when the loan to Russia will need to be paid, and with a cost of USD 3 – 4 cents per kWh afterwards (at today’s HUF/USD exchange rate). And this is with a ‘favorable’ Russian loan. In the opinion of Attila Aszódi et al., power prices of HUF 28.74-35.56/kWh, depending on the various scenarios, would have to be attained in the 21-year period of the repayment of the Russian loan taken out in relation to the investment, for the power plant to be able to cope without any further financial support. The authors firmly believe, on the other hand, that the project might be a good investment despite the above as, after repayment of the loan, the power plant would generate power at a price of HUF 8.05-11.09/kWh, which will result in a good average price over its entire lifetime (Source: Felsmann, Balazs, 2015). Some might say I’m comparing apples and oranges, that is baseload power to ‘unreliable’ variable solar power. But when we take into account the developments in energy storage technology and other renewable energy sources, combined with the longer term operation of Paks I (with near 2000 MW), then it can be confidently stated that by 2026 – in just 10 years, storage technology, that is already being deployed around the world, will be even more competitive. In addition, solar should be seen as a ‘bridging’ fuel in Hungary’s nuclear transition. That is, as Paks I units are decommissioned, solar and other renewables can begin to replace them from (earliest) 2036 and onwards. That is right, the current plant and all its units operates until 2036. It is projected between 2024/2026 and 2036 the output of Paks will be over 4000 MW – Hungary will need to dump this electricity outside of its own borders. Solar can easily be a cost effective source of bridging while either newer nuclear power technology is developed or alternative sources are integrated. In any case, the cost will need to be less than the current Russian offering. Hungary’s energy relations with Russia is not one of equals. The country is being saddled with an outdated and expensive technology that even today (the day when Russia’s foreign minister is in the country), that is more expensive than alternative technologies. This summer Budapest takes delivery of the refurbished Soviet era metro carriages from Russia (as part of the Paks II deal, us citizens of Budapest had to accept these outdated models), let’s hope that Paks II is not delivered on the citizens of Hungary, the bill is already too high, in 2026 it will be astronomical. “MVM Hungarowind Invests HUF 4.9 Bln in Solar Power Plant | The Budapest Business Journal on the Web | Bbj.hu.” Accessed May 25, 2016. http://bbj.hu/business/mvm-hungarowind-invests-huf-49-bln-in-solar-power-plant_112171. Naam, Ramez. “How Cheap Can Solar Get? Very Cheap Indeed.” Ramez Naam, August 10, 2015. http://rameznaam.com/2015/08/10/how-cheap-can-solar-get-very-cheap-indeed/. “Russian Foreign Minister: Hungary ‘important, Reliable Partner’ | The Budapest Business Journal on the Web | Bbj.hu.” Accessed May 25, 2016. http://bbj.hu/politics/russian-foreign-minister-hungary-important-reliable-partner_116608. “Steven Chu: Mexico’s Energy Auction Reveals True Price Of U.S. Renewables – Forbes.” Accessed May 25, 2016. http://www.forbes.com/sites/jeffmcmahon/2016/05/08/steven-chu-mexicos-energy-auction-reveals-true-price-of-u-s-renewables/#1a94bf3575d2. “The Price of Solar Power Just Fell 50% in 16 Months – Dubai at $.0299/kWh! | Electrek.” Accessed May 25, 2016. http://electrek.co/2016/05/02/price-solar-power-fell-50-16-months-dubai-0299kwh/. Felsmann, Balazs. “Can the Paks-2 Nuclear Power Plant Operate without State Aid? A Business Economics Analysis.” Energiaklub, June 23, 2015. http://www.energiaklub.hu/sites/default/files/study_can_paks-2_operate_without_state_aid_energiaklub_2015.pdf. Aszodi, Attila. “A Paks2 projekt energiapolitikai értékelése és a szakember utánpótlás kérdései.” Budapest, March 20, 2014. http://nuklearis.hu/sites/default/files/docs/Aszodi_MNT_20140320.pdf.